Homogenization, also known as micronization or particle size reduction, is the process of breaking cells or particles apart. This technique is gaining popularity in a number of industries, including pharmaceutical, cosmetic, biotech, and food. Small particle sizes are beneficial to many key manufacturing processes, such as the formulation of creams, sauces, and medicines. Small particles are more easily dispersed through a medium, which results in improved texture, taste, appearance, and efficacy, not to mention reduced costs. It is easy to see why particle size reduction and the homogenizers that aid in reducing particle size, are becoming a hot commodity! How Does the Cell Wall Effect Homogenization? Another way to look at this question is asking the same question in a different way: How does homogenization affect the cell wall? To find out the answer to this question, it is important to understand how homogenization works to disrupt cells. Continue reading to learn more about this process. Homogenizers are designed to reduce particle size, but they are also well suited for gently rupturing cell walls. Disrupting cell walls is the first step to completely breaking them apart. However, different cell types require different types of forces in order to be properly broken apart. Yeast and e. Coli, for example, are two different types of cells that require two completely different methods of cell disruption. The harder cell wall present in yeast requires a stronger force – or impact – to break it open, which the more delicate cell walls of e. Coli requires the force of shear. Other cell types, including bacteria, algae, and fungi, all require their own methods of breaking down their cell walls. To learn more about BEE International and how our homogenizers can help you meet your industry’s goals, please contact us today. What Is The Cell Wall Made Of & How Do You Break It Down? The primary difference between plant and animal cells is that plant cells have a cell wall and a cell membrane, while animal cells only have a cell membrane. Click here for a quick visual comparison of plant and animal cells. The cell wall is located outside of the cell membrane in plants, bacteria, fungi and algae. It is a tough, rigid layer that provides structural support and protection for the cell. Many plant cells have both a primary cell wall, which accommodates the cell as it grows, and a secondary cell wall that they develop inside the primary wall after the cell has stopped growing. Secondary cell walls are much thicker and stronger than the primary cell walls, and are the major component in wood. The plant cell wall is composed of cellulose, a complex carbohydrate made up of several thousand glucose molecules linked end to end. In addition, the cell wall contains two groups of branched polysaccharides, the pectins and cross-linking glycans. Not all cell lysis methods are suitable for plant cell lysis. Ultrasonic homogenizers or sonicators, for example, are unsuitable as cell walls are far more resistant to sonication than cell membranes. Organic solvents like alcohols, ether or chloroform can disrupt cells by permeating the cell walls and membranes. These solvents are often used, in combination with shearing forces, to lyse plant cells. DeBEE High Pressure Homogenizers use forces like shear, cavitation and impact to disrupt plant cells. These forces are adjustable, allowing the user to optimize cell rupture according to the specific cell type. The operator is able to lyse even the most challenging cells, like yeast or fungi. Other cells like E. coli, bacteria, mammalian tissue, and insect cells can each be ruptured with the most efficient process for the highest recovery rates. Our homogenizers yield a high cell rupture for a wide variety of cells, without damaging cell tissue or other valuable intracellular materials. As always with DeBee High Pressure Homogenizers, all laboratory developments are 100% scalable to manufacturing. Although both eukaryotic, plant and animal cells are distinct in their organelle structures and metabolic processes. Scientists may elect to disrupt either cell type to access genomic DNA or intracellular proteins; yet the homogenization process may be different for plant vs. animal cells. By customizing your process to the appropriate cell type, you can expect a pure, high-yield lysate. Keep reading to learn about specific differences between the animal and plant cell homogenization processes. Animal cells have only a fragile membrane separating intracellular contents from the extracellular environment. A gentle combination of mechanical forces (e.g. liquid shear) is, therefore, one of a small few methods that is gentle enough to preserve intracellular proteins/molecules of interest while still imparting enough force to rupture the membrane. Once the homogenization process is complete, cell components can be separated from each other by centrifugation. If there is a specific organelle of interest, an enzyme marker can be used during the fractionation process to monitor the molecule’s location. Although the specific enzyme markers may differ based on molecule of interest and cell type, the post-homogenization process will look nearly identical between plant and animal cells. Both plant and animal cells can be easily lysed via multiple distinct mixing processes, with homogenization being one of the more frequently chosen methods- and for good reason. With a top-shelf homogenizer, lysates can be of higher quality and more even consistency than with the other methods. When considering where to begin in your homogenizer search, check out BEE International and our quality products. BEE is trusted by researchers around the world for both their laboratory homogenizers and their associated customer support. Cell lysis is just one of a variety of applications for BEE homogenizers; nano/micro emulsions, lipids, suspensions, and dispersions are also easily achievable. Additionally, the homogenizer processes can be controlled to suit your product, which will allow you to customize to your cell type. And finally, the equipment is easy to use, produces higher yield in less time, and achieves results that are reproducible and scalable. Cell lysis is the process of disrupting cell walls in order to extract and isolate proteins, so they can be analyzed and experimented upon by life science researchers. Below, we provide an overview of different cell wall types. 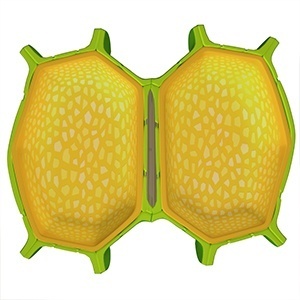 Plant cell walls have a primary membrane, and may have a secondary membrane as well. The primary membrane is made mostly of polysaccharides cellulose, pectin and hemicellulose. It is flexible, which allows the plant to grow properly, yet at the same time it is sturdy enough to establish turgor pressure, which is necessary to support the plant’s stability (i.e. water inside the cell presses up against the cell wall). The secondary membrane, if present, contains lignins, which are complex natural polymers, and one of the main classes of structural materials in the support tissues of vascular plants (as well as some algae). Lignins play an important role in making the cells waterproof and supporting xylem. Algal cell walls are made primarily of polysaccharides, which are long chains of polymeric carbohydrate molecules composed linked by glycosidic bonds. They can also contain cellulose, mannan or xylan. In addition, some algal cell walls -- such as those of brown algae -- contain alginic acid that is capable of absorbing water, and form a kind of gum that is used by researchers in the cosmetics and food industry. Bacteria cells walls are comprised mainly of peptidoglycan, which is a polymer of amino acids and sugars. The result is a structure that looks something like a chain link fence, which is strong enough to support the cell, yet porous enough to allow particle movement. There are two types of bacteria cell walls: Gram-positive and Gram-negative. Gram staining is used to distinguish between them. Archea cells walls are still being researched and not as fully understood as other types of cells walls. However, what we know thus far is that many archaea contain pseudo-peptidoglycan, which is created from the assembly of surface-layer proteins (S-layers). Fungal cells walls are made of the polysaccharide chitin, which is somewhat similar to cellulose, but contains acetyl-amin (nitrogen) groups rather than hydroxyl-groups. True fungi cells walls also contain glucans (glucose polymers) and proteins, which support cell wall synthesis and lysis. At BEE international, the technology we use to design our equipment allows researchers to control and modify pressure, so that they can rupture a variety of cell types – including more challenging cells such as fungi – but without damaging the intracellular materials. This results are a higher yield with fewer passes, and results that can be scaled up to manufacturing. Learn more about our groundbreaking technology here. 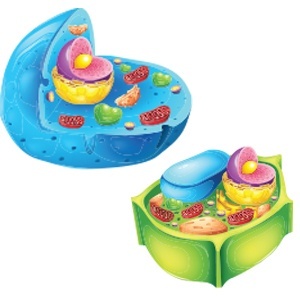 Each type of cell has different challenges if you're looking to reach the proteins and organelles inside. Download our FREE eBook "7 Key Factors to Consider When Choosing A Cell Lysis Method" below and find out which method suits your cells.